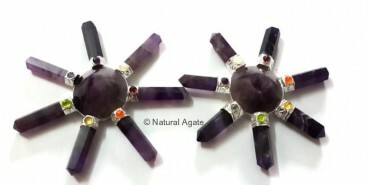 Amethyst Chakra Energy Generator has amethyst pencils in which chakra stones are embedded. The energy emitted will help you in meditation and healing session. It is a lovely piece to own. Get it now on Natural Agate.